Designed to improve athletic performance and reduce the potential for injury. 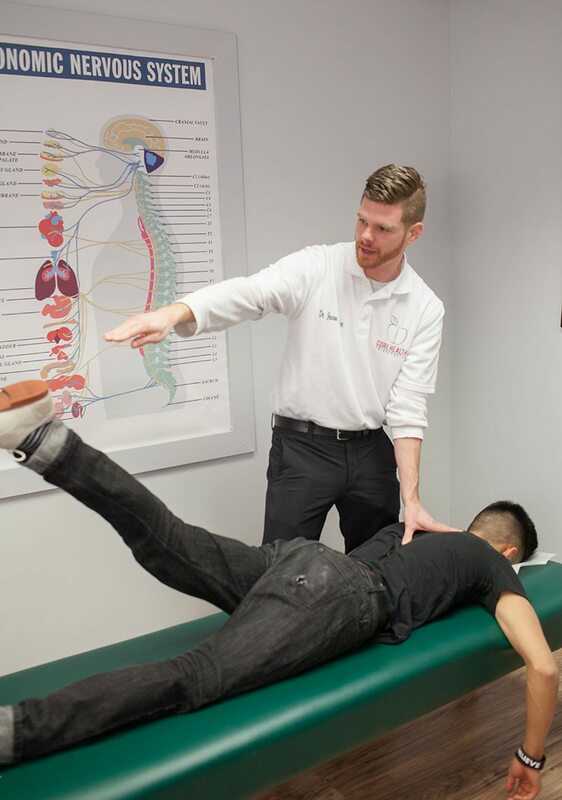 healthy movement patterns throughout the body rather than just addressing the area of pain, weakness and instability. had or known someone who keeps reinjuring the same old injury? That friend that rolls their ankle all the time, or the athlete that has multiple ACL tears? There is a reason why, even after tons of great rehab, that joint is not as strong as it once was. If we do not find the root cause of this injury cycle, we will continue to re-injure ourselves over, and over again. We use a series of testing to create a baseline for our athletes to assess how their nervous system is functioning. This in tern, helps us predict a future injury, improves rehabilitation, and increases efficiency while training. This tool is the secret to perform better, move faster, function longer and recover stronger! Using a global performance assessment on every patient, elite athlete or not, allows us to understand how quickly the brain is able to send messages to the body, and vice versa. Like most physiological processes, proprioception (ability for your brain to communicate with your body and coordinate movement) can be impaired by disease or disuse, or neurological dysfunction, creating a neurological imbalance. Ultimately, dysfunction makes an athlete (or individual) prone to injury, and decreased performance. Previous injuries and imbalances in joint function in the spine and extremities create muscle imbalance which leads to decreased stabilization. This often Painless phenomenon or ‘disconnect’ between the brain and the body promotes instability and an increased potential for injury and recurrent injury patterns. Using a global performance assessment on every patient, elite athlete or not, allows us to understand how quickly the brain is able to send messages to the body, and vice versa. This assessment shows us the underlying neurological issues that may be affecting spinal and extremity health.